You've got to watch this video. Why? 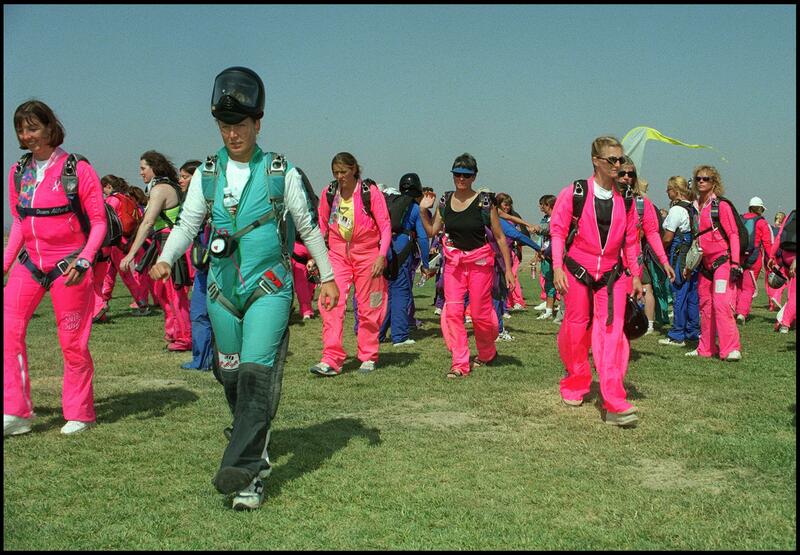 Because when was the last time you saw 101 Russian female skydivers break the record for the world's largest flower-pattern freefall? As someone who is petrified of heights, it took a bit of willpower for me to even watch this video (my legs got a little shaky, no lie), but it's pretty awe-inspiring, right? Personally, there's nothing that could ever ever ever (ever) get me to skydive for any reason, but this is still incredible. How do they move through the air horizontally in order to join hands with one another? It's amazing to see, almost like they're flying. The jump took place in the sky over Kolomna, Russia. To make the whole thing even more touching, the jump was dedicated to the group's former captain, Irina Sinitsina, who died while skydiving last year in California. If you look closely, you can see that there's one space left open in the middle, in honor of Irina.